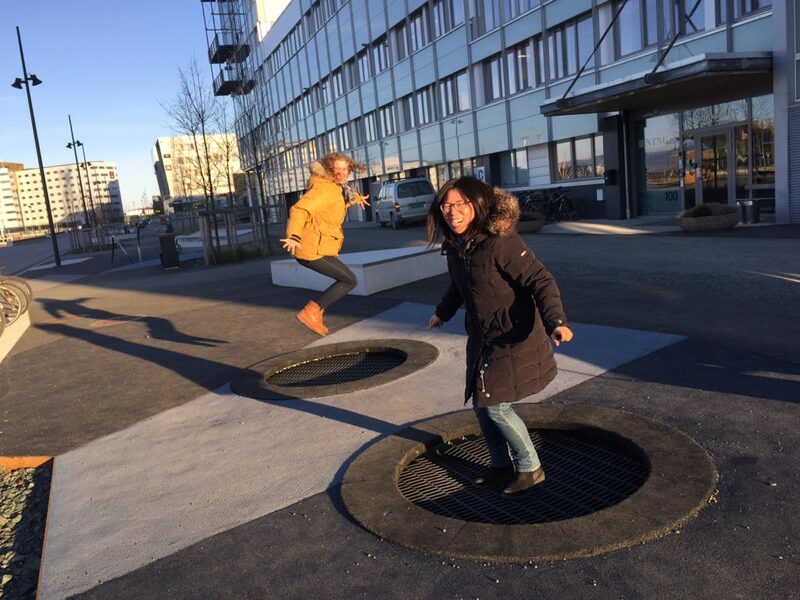 Jumping with joy at SINTEF Ocean trampolines in Trondheim! We just had a project meeting in Trondheim for two days, with Dorothy flying in from Bergen and on of our advisors, Sandra, coming in via Skype. Our other collaborator, Russel, from Australia, also came in via Skype. The session was very good, both academically and socially, and we are very happy to have started planning the one week workshop in Svalbard in August as well. We are also on track with deliverable and with articles, and expect REGIMES will have very good results!